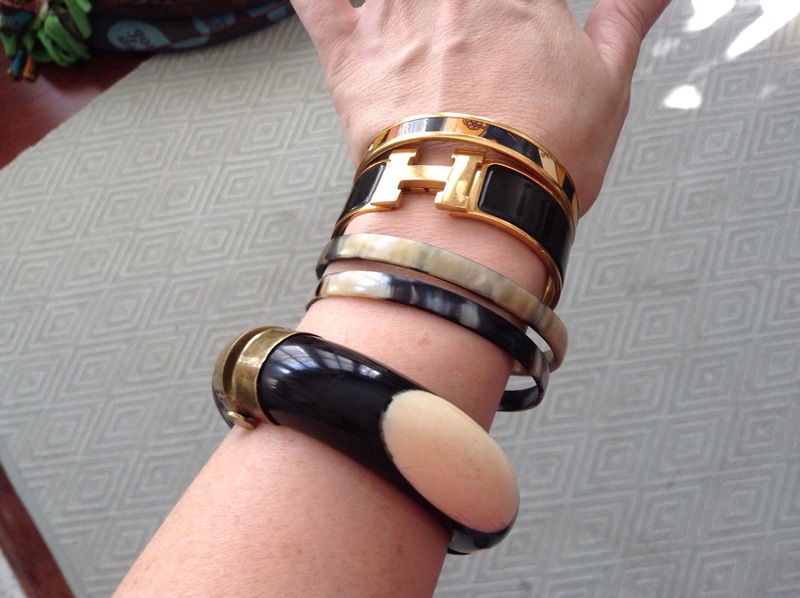 Today’s bangles are: a North African piece I bought years ago in the streets of NY from one of those sidewalk vendors, black Clic Clac, Astrologie Nouvelle, and two horn bangles. I can’t NOT say these things whenever I hear or read the trigger words. Only now am I noticing all but gurnal are food related. I guess that’s an improvement?